Whenever post an article directed at our friends and the fine people of both Bay Minette and Citronelle (the two Northernmost communities of our respective counties), we specifically want them to know that just because they live a few minutes away from Mobile central Baldwin County areas, there is no reason that they should expect anything less that the best fire, water and mold remediation service available - ServiceMaster ADVANCED, the Master of Disaster. (251) 653-9333 & (251) 928-1028. ServiceMaster, the parent company of ServiceMaster Clean & ServiceMaster Restore, has come a long way since its start as a moth-proofing company founded in 1929 by Marion E. Wade, a former minor league baseball player. When it was incorporated in 1947, ServiceMaster employed only half a dozen employees and earned a yearly revenue of $125,000. Today, that fledgling corporation is the leader of the service industry, employing more than 50,000 people, managing over 190,000 others, earning over $7.8 billion annually, and licensing over 5,400 independently owned and operated service providers. What hasn’t changed over the years is the company’s credo. Wade had a strong personal faith and a desire to honor God in all he did. Translating this into the marketplace, he viewed each individual employee and customer as being made in God’s image—worthy of dignity and respect. His successors, Ken Hansen and Ken Wessner, also shared his viewpoint. These three leaders shaped what became our company objectives. 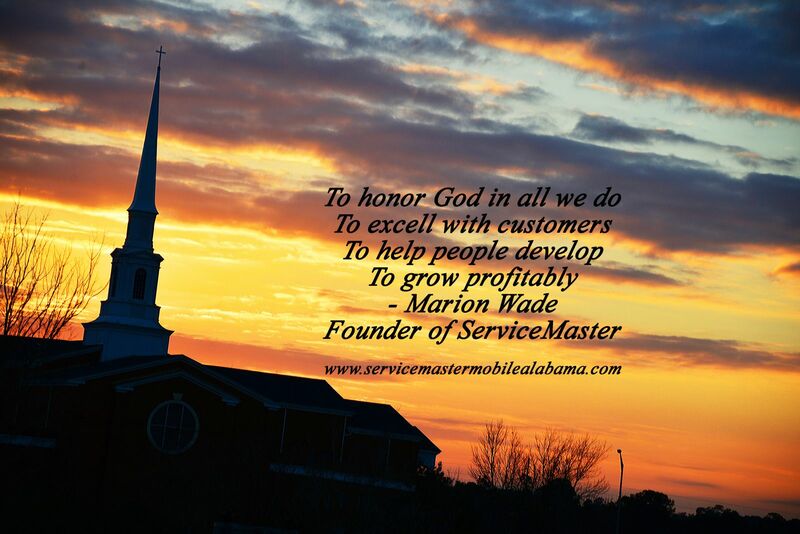 At ServiceMaster Advanced Cleaning & Restoration, the Master of Disaster in Mobile, Daphne, Baldwin County and the Mississippi and Alabama Gulf Coast, we live those ideals set forth by Mr, Wade so many years ago. Why is important to the customer that we have these core beliefs? In a word, trust. 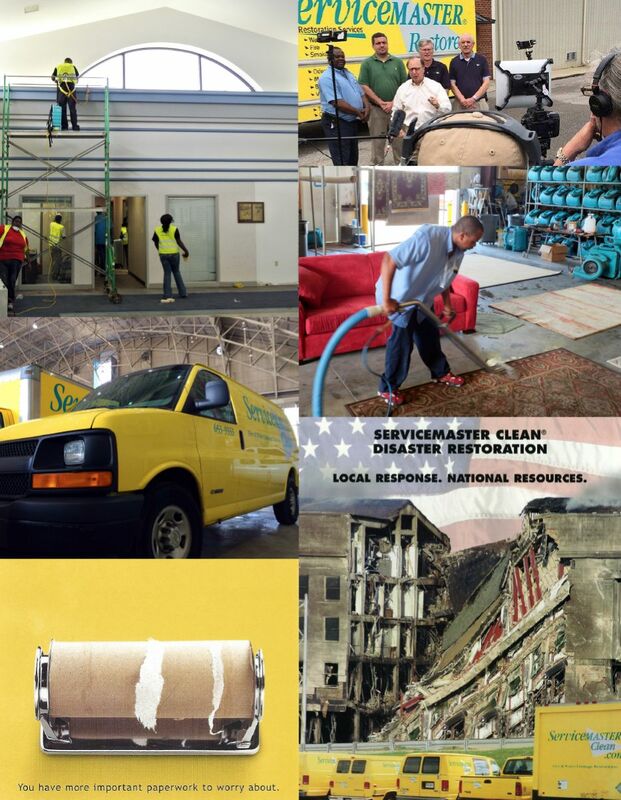 Whether or not you share the religious belief, you know that the fine people at ServiceMaster Advanced are the type of people that you can count on to do the right thing in the mitigation, remediation and restoration business. There are quite simply too many opportunities for contractors to take short cuts, or take advantage of unsuspecting people in our industry. We see it all the time. At the end of the day, people (and a company) with strong core beliefs, do the right thing. Period. 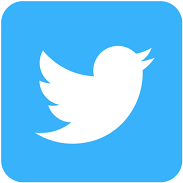 We have written articles on the problems we have seen with other entities. 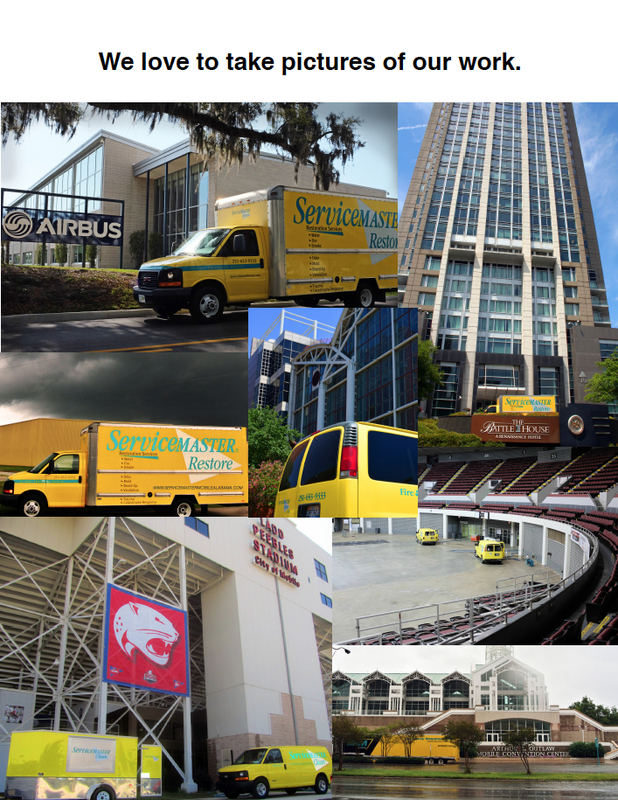 Here is one: http://www.servicemastermobilealabama.com/Service-Problems-Abound-in-the-Water-Damage-Business-in-Mobile-AL-1.html.